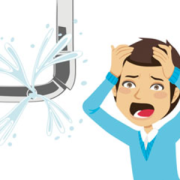 When it comes to plumbing emergencies in Knoxville, there are a few things that you can do before (or right after) calling am emergency plumber, or just your regular plumbing service. Plumbing emergencies in Knoxville, or anywhere else, can certainly be cause for alarm. But by keeping an even temper and remember a few simple tips, you can greatly reduce the damage to your home. You might just find out that what you thought was a real plumbing emergency is not really that big of a deal at all. 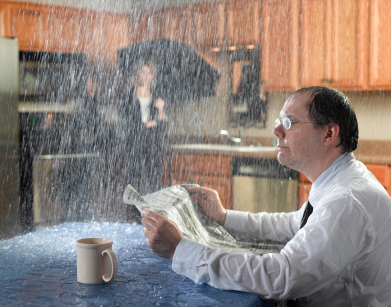 It doesn’t matter if a pip has burst, or your have discovered water damage from a leaky sink. The first thing that you should do in the case of any plumbing emergencies in Knoxville is to turn a few things off. Locate the main water value and shut it off, if possible. You may also want to think about shutting off particular fixtures in your home if they are part of the issue. As soon as you turn off your water, also shut off your water heater. Doing this could keep your water heating from bursting, especially if it is gas. Open any spigots on the outside of your home. You have a few things that you should try to do before calling an emergency plumber. Look for any leaks that you can find and do your best to temporarily repair them. You can feel free to try things like plumber’s epoxy or some sort of tape (preferably Teflon) if you have it. If not, your next best option is to use towels or rags of some sort. Try to place buckets to prevent water damage. If you are experiencing a drain that is clogged, then feel free to search for some DIY tips before calling anyone.